D-Lead Hand Soap and Towelettes effectively remove lead, cadmium, cobalt, manganese, nickel, zinc and other heavy metals associated with artist paints. 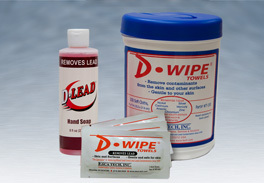 D-Lead products quickly and safely remove heavy metals from hands, arms, face, and fingernails in less than 60 seconds. We offer the D-Lead Liquid Hand Soap in the 8 ounce size for use in the studio. 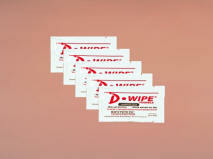 The D-Wipe Towelettes do the same job as the Hand Soap in a convenient, individually wrapped towelette. They effectively remove lead, cadmium, cobalt, manganese, nickel, zinc and other heavy metals associated with artist paints. They are particularly handy for clean-up in the field and pack easily into your pochade box or backpack. Available in 25 packs and canisters of 40 for the studio. Please note that waste water from the use of environmentally friendly D-Lead products is treatable by standard methods used in water treatment, and these methods result in full recovery of waste metals. 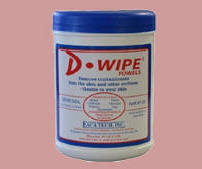 D-Lead products are low-sudsing and phosphate free. Stay cool in the heat! 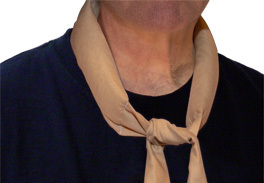 This evaporative cooling neck wrap can be worn loosely around your neck to provide relief in hot weather. Simply soak it in water for 30 minutes to allow the crystals to expand and activate. Several separate chambers keep the polymers evenly distributed across the band as they activate. It will absorb the water and expand, providing several hours of comfort. Roll it over on your neck to refresh it or dip it in water throughout your outing to rejuvenate the cooling effects. It stays activated for several days so that you only need to dip it in water to keep the cooling crystals working. It's fully reusable and will dry out flat again between uses for maximum portability. This top quality cooler's shell is made of 100% cotton and filled with non-toxic polymers. Comes in a variety of colors and patterns. Measures about 42" prior to soaking, and folds down to about 5 inches. Hand washable. Instructions included. Handmade in the USA by a veteran family. 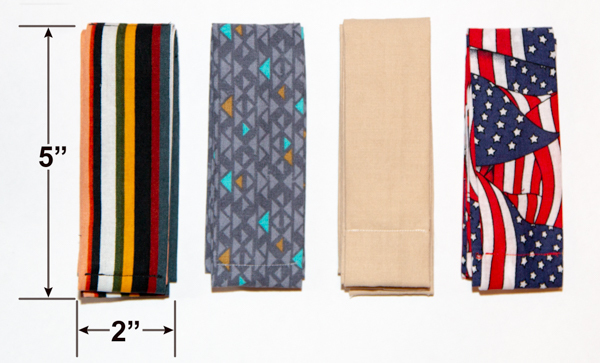 Cooling Neck Wraps come in a variety of colors, and we'll pick one for you at random. If you favor a specific color, please note that in the "comments" section at checkout and we will do our best to accommodate your request. When you're trekking in the wilderness to find a beautiful scene to paint, the last thing you want to think about getting is Lyme Disease or Rocky Mountain Spotted Fever from a tick bite. The Tick Key removes both head and body quickly and safely, and is 99.9% effective on all sizes and types of ticks. 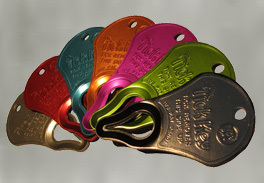 It easily attaches to your key ring or dog leash, or fits in your wallet. Tick Keys come in a variety of colors, and we'll pick one for you at random. If you favor a specific color, please note that in the "comments" section at checkout and we will do our best to accommodate your request.